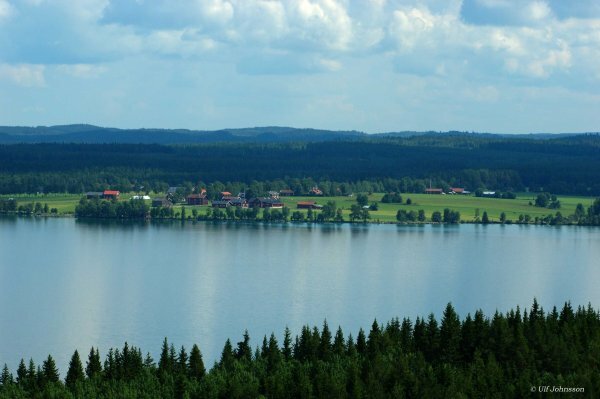 Rossbol, a few miles southeast of Brunflo at Lockne lakes shore (about 18 miles southeast of Östersund, Sweden), is a living village which can trace its lineage a long way back. Characteristic for the village is the many birch avenues which the village cares for. New trees are continuously planted to secure the avenues. The verge are also cared for to keep the pleasant surroundings in the village. Most of the farms and houses are located along the village main street. 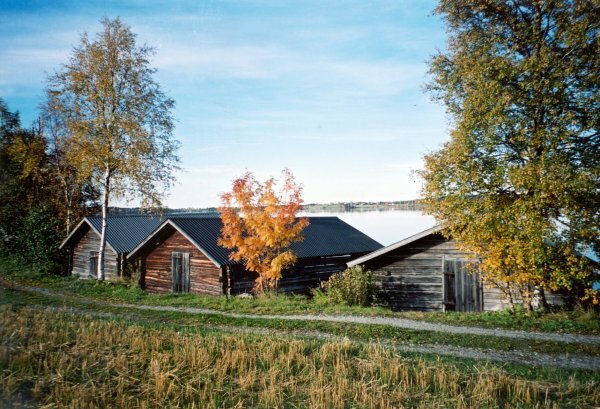 At the lake shore there is a larger gathering which was the village origin, and in the other end there are houses from later time, the end of the 18th or the beginning of the 19th centuries. The village community house are also located at this end of the main street, it was built in the year 1907. If you travel along this street you will see that all the huses has names. There are for example Härfsve, Gäle, Nygårn, Ustgårn, Svänggårn and Åtegårn. The main street is the living nerve through the village with the community house at one end and the boat houses and jetty in the other. Along the main street there is an old pine (about 300 years old) and an old firehouse with the fire engine and zinc buckets preserved. The village is very much alive with children, youth and elderly among the population. Today there are about 70 people living in the village. One agricultural farm and one cat and dog boarding house is located in the village. Furthermore, there are alot of horses within the village, among them the American Curly breed. A few other businesses are also located in the village. Our tip is to take the spring and summer bike rides through the Lockne lake villages. Ride through Rossbols birch avenues and enjoy the crane dance in the spring and the eurasian curlew trill. The open fields in the village suites the eurasian curlew which nowadays is becomming more and more rare. The scenic view over the Lockne lake with the Lockne Church and the Haxäng village is wonderful during the summer nights. The sundown over the Lockne lake is really a beautiful sight! The surroundings offer a rich flora, including the rare brunkulla flower and there are many nice trails in the woods. Just before the village Espnäs is the "Stugan på sten" (the cabin on the rock) located. Here is also the old log just beside the cabin. In the wintertime, the Lockne lake is perfect for skiing and other outing. There are many nice places to stop at and maybe enjoy a nice outdoor meal. Welcome to the Lockne area and Rossbol!